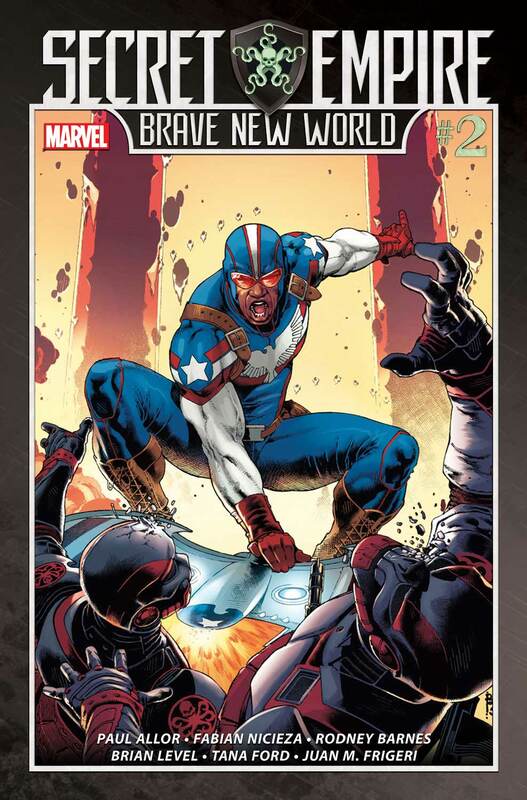 Steve Rogers, Captain America, Liberty’s most dedicated defender is actually the Supreme Leader of Hydra. Faced with this adversity, the world’s heroes have two choices: stand and fight or fall in line. 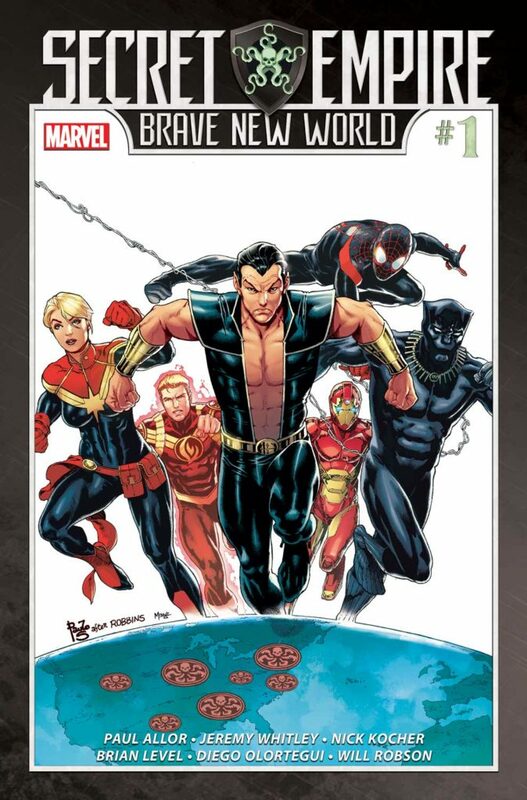 Marvel presents a brand new Secret Empire series, SECRET EMPIRE: BRAVE NEW WORLD written by Paul Allor (Uncanny Inhumans) Brian Level (Deadpool, Deadpool & The Mercs for Money) with an army of Marvel’s top creators following suit and detailing how every corner of the Marvel Universe lives in a world overrun by the hordes of Hydra.